Island Bluffs is a story of love, forgiveness, and understanding the dark side of the human spirit. It explores the age-old question: are children accountable for the sins of their parents and grandparents? Carly Mason is a successful New York City forensic dentist. She and her widower husband, Gabe Berk, are trying to start a family. Thinking they had exhausted the options by consulting with all of Manhattan’s fertility experts, Carly and Gabe learn of an eccentric scientist who runs an exclusive clinic. The doctor commits to helping the couple conceive the baby they so desperately want, but only if they agree to what seems like an outrageous stipulation; Carly must carry twins, one biological and one that she is a surrogate for. Once the twins are born Carly has to surrender the non-biological twin to the doctor at birth, no questions asked. Further, should the old doctor die before Carly gives birth, she has to agree to give the baby the name chosen by the doctor. As required for treatment, Carly and Gabe move into a new house, which is within thirty minutes of the clinic. They soon discover that their new home and town, Island Bluffs, are far from ordinary. Carly and Gabe feel eyes spying on them at every turn. Gabe’s father, Yehuda, hears strange noises that only he can hear. Megan, Gabe’s rebellious sixteen-year-old daughter from a previous marriage, is attracted to the son of a Neo-Nazi. The mysteries continue to deepen as a scavenger ship appears on nearby waters searching for sunken treasure along with glimpses of a lone swimmer lumbering through the waves of Barnegat Bay. 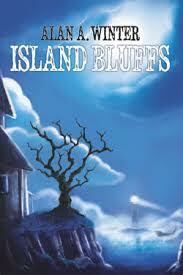 Island Bluffs is a present-day town bound to the past by horrible secrets and pacts made long ago. Keeping secrets buried as some had hoped was no longer an option for the Berks. Their new and some thought long-forgotten home made that impossible by putting them squarely in the middle of it all. When the truths are revealed, the shocking twists and turns will challenge the very notions of what is right and wrong. Bottom line: I am a storyteller, I always have been, but I never had aspirations to become a writer. Then a story began to haunt me. What would I do if someone rang my doorbell and, standing next to a teenage boy, informed my wife and me that we had brought the wrong baby home from the hospital? Where did this notion come from? Because my three sons looked nothing alike and anyone who met them was quick to say so . . .and quick to tell me that a mistake had to be made in the hospital. This was back in the early 1980s, when babies switched at birth had not made newspaper headlines. The only way I could lose the story was to put pen to paper. When I did, it was not only a catharsis but I became enamored with the writing process. My challenge at that point was purely intellectual: could I make up a story that was believable about babies switched at birth. I made it a point of not telling anyone what I was doing. I didn’t need anyone’s approval or even recognition of what I was doing. I was pleasing myself. I had the good fortune of getting my manuscript to a well-known literary agent at the William Morris Agency. She called to tell me to say she was rejecting me but wanted to meet me . . . something she had never done. When we met, she said, “While I am rejecting you, you are a writer and want you to promise me that you will never give up.” And I haven’t. scientific papers. That still doesn’t explain how a dentist came to write fiction! It started in 1982 when Alan made small talk with a patient about a sci-fi idea he had. She thought the idea was so terrific, she urged him to write a movie treatment about it. Alan dismissed her offhand. What did he know about writing movies? The patient persisted. Each time she would visit his office, she would demand to see the finished movie treatment. Seeing she was serious and relentless, Alan agreed to hand her a treatment. But how? He had no clue where to start. Asking other patients for guidance, Alan was introduced to a young screenwriter who agreed – for a fee – to write the treatment. They worked together, produced a treatment, and shopped it around to a number of studios. One studio took the idea (without permission or payment) and turned Alan’s treatment into a movie. 1. Rather than waste energy being litigious, be flattered that a studio felt Alan’s idea was worthy of turning it into a movie. Knowing a stranger valued his creativity supported all of his future projects. 2. Collaborating with the screenwriter gave Alan the validation he needed that if and when he chose to write a book, it wouldn’t be foolhardy…not that it really mattered what others thought! 3. Still, Alan had no desire to write fiction. That changed in 1985. That was the year that Alan began writing his first novel, “Someone Else’s Son,” which was eventually published by MasterMedia, Ltd.
What prompted Alan to write “Someone Else’s Son” is a story in itself. 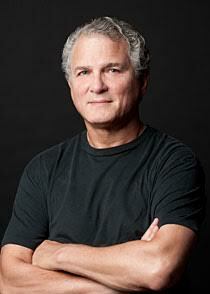 When Alan completed his periodontal training at Columbia, he joined a prestigious Fifth Avenue periodontal practice. Day after day, the well-to-do, prominent patients asked Alan if he was old enough to be a dentist. (He looked that much younger than the two senior partners). Trying to convince the patients that he was old enough to be a dentist and, therefore, experienced enough to treat them, Alan put his two sons’ pictures on the treatment room wall. When his third son was born, he added that one, too. Every few months, he updated the photos. While maintaining his periodontal practice, Alan has continued to write since he first took up pen to paper, although now he is very appreciative that his mother forced him to take typing in summer school after his sophomore year of high school. Boys just didn’t do that back in the ’60s, but it has been an invaluable skill over the years. In 1999, “Snowflakes in the Sahara” was published by iUniverse. “Savior’s Day,” also published by iUniverse, was published in 2013 to critical acclaim. It was selected by Kirkus Reviews as a Best Book of 2013. 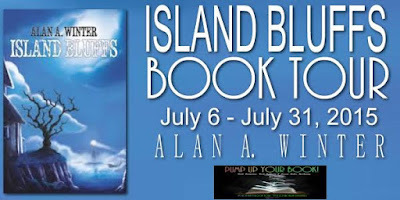 “Island Bluffs,” Alan’s newest novel, is published by KB Publishing to excellent reviews. He is at work on his next novel, “The Legacy of Izaak Wolf,” about an adolescent with Asperger’s Syndrome achieves the near impossible to save his family from a surefire calamity. Alan and Lori live in his native New Jersey. They have five children and five grandchildren.